Chennai Super Kings registered their fourth victory of the Indian Premier League, 2015, against Royal Challengers Bangalore by a margin of 27 runs. CSK blasted 8-181 at the end of the 20th over and RCB reached 154 for the loss of eight wickets. Kings XI Punjab clinched their previous encounter vs. Rajasthan Royals in the one-over eliminator and that was a big triumph over the current no.1 team of the tournament. CSK has taken part in five matches, won four, lost one and gathered eight points while KXIP played even games, surrendered three and posted four points on the table. It will be an important game for the latter to improve their position while the former can strengthen their spot by grabbing that. 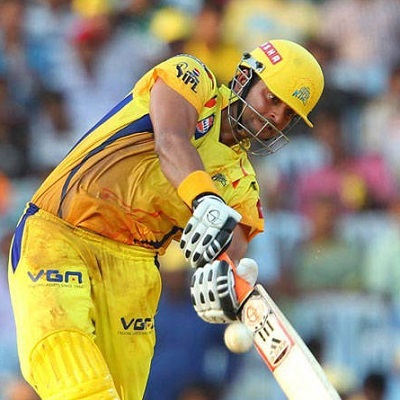 Suresh Raina, Dwayne Smith and Faf du Plessis were the main scorers for CSK vs. RCB with 62, 39 amd 33 while Brendon McCullum, Dwayne Bravo and MS Dhoni are part of their strong batting. Ashish Nehra was the star performer with four wickets as Ishwar Pandey, Mohit Sharma, Ravichandran Ashwin, Ravindra Jadeja and Bravo form a stable bowling unit. Shaun Marsh and David Miller dispatched 65 and 54 runs for KXIP against RR whereas Murali Vijay, George Bailey and David Miller have scored over hundred runs but Virender Sehwag along with Glenn Maxwell are off colour. Sandeep Sharma and Anureet Singh are their top wicket takers with eight each while Mitchell Johnson, Axar Patel are doing their best with the ball. Saturday, April 25, 2015 @ 14:30 GMT, 20:00 local at MA Chidambaram Stadium, Chepauk, Chennai. Afternoon thunderstorms expected with the temperatures around 27-34ᵒC. CSK will opt to bat first and KXIP can go for chase after winning the toss. Most of the batsmen enjoyed batting in the 4th match of the event played between CSK and Sunrisers Hyderabad. Kings XI Punjab – (From), George Bailey (C), Virender Sehwag, Murali Vijay, Shaun Marsh, Wriddhiman Saha, Glenn Maxwell, David Miller, Axar Patel, Mitchell Johnson, Anureet Singh, Sandeep Sharma, Shivam Sharma, Gurkeerat Singh. CSK will be the most likely winners at their home ground in the coming encounter. On home turf CSK are invincible, they will remain my fav. Munna bhai, is match mein agar Punjab pehle batting kerta hai, to unpe pehle trade karna chahiye during their 1st innings batting? ..... Ya phir CSK ki batting ka wait karna chahiye? Munnabhai, Please sent your guide.. I'm in huge loss and have lost past 6 games continuously..
following ur views frm quite a time nw.. u r doing a fab job..
plz send me ur accont opening and trading guide..
Munnabhai I'm new to this website and still learning. I've been betting with local bookies and ended up in huge loss. Help me and teach me trading. I want to recover losses. Plz send me guide too. Munna bhai plz send me the bible..
Sakib lg, brother you are rock!!! Made another bumper profit, book closed and time to enjoy match. Yet another bumper double dhamaka Saturday. munnabhai u gr8 most of guys here predicted kxip you were the only one who said csk will win. teach me how do you bet to make profit on all matches. send me guide.